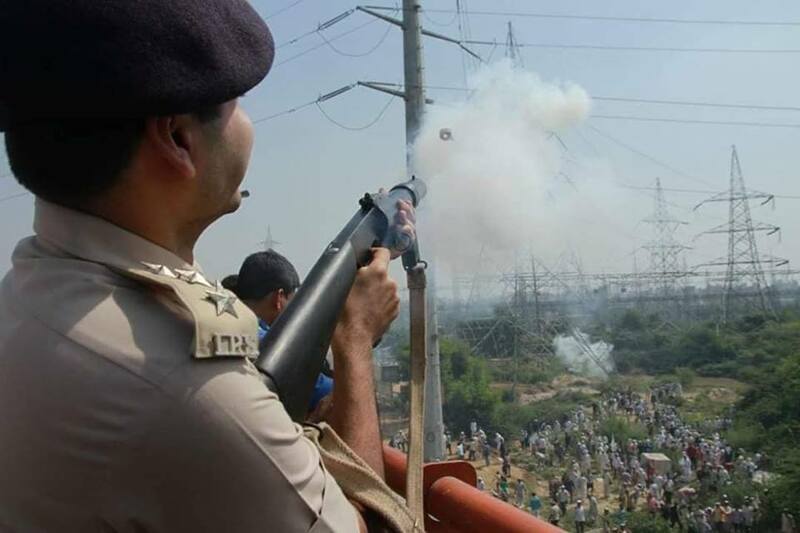 Police used tear gas and water cannons to disperse a farmers march led by Bhartiya Kisan Union (BKU) on the outskirts of Delhi. 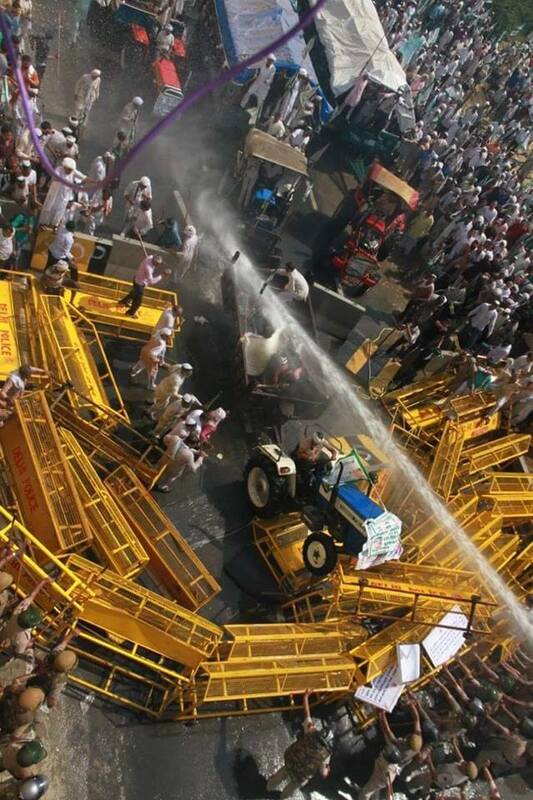 Many farmers were injured. The protesting farmers are coming to the capital with several demands including farm loan-waiver, friendly crop insurance and support for small and marginal farmers and to implement recommendations of the Swaminathan Commission. The police had earlier issued prohibitory orders in east and north-east Delhi anticipating trouble. 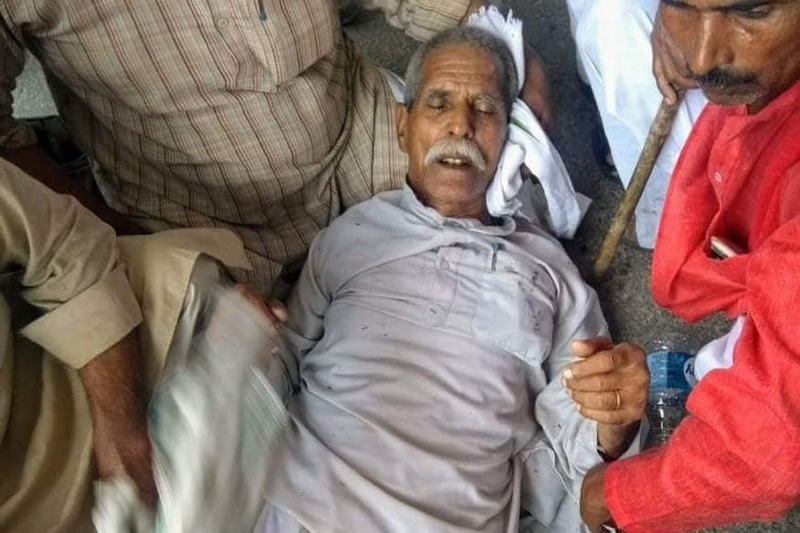 The Kisan Kranti Yatra, which began from Tikait Ghat in Haridwar on September 23, is the first of its kind by the BKU since the death of its founder Mahendra Singh Tikait on May 15, 2011. The Tikait clan, including the patriarch’s four sons, their wives, grandsons and their children have also hit the streets along with others. 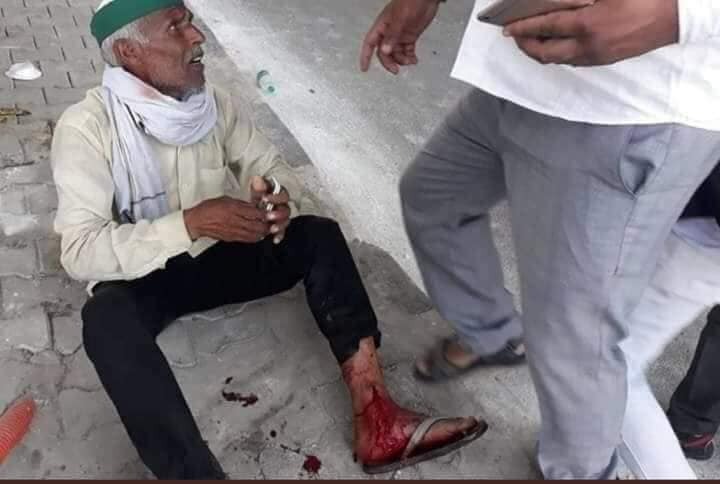 The rally is an echo of the massive protest of almost 5 lakh farmers spearheaded by BKU founder Mahendra Singh Tikait at Delhi’s Boat Club in October 1988. Earlier today, Home Minister Rajnath Singh held discussions with Union Agriculture Minister Radha Mohan Singh and a few others on how to resolve the farmers’ issues and pacify them. Union minister Gajendra Singh Shekhawat also spoke to protesting farmers on the Delhi-UP border and assured considering their demands. 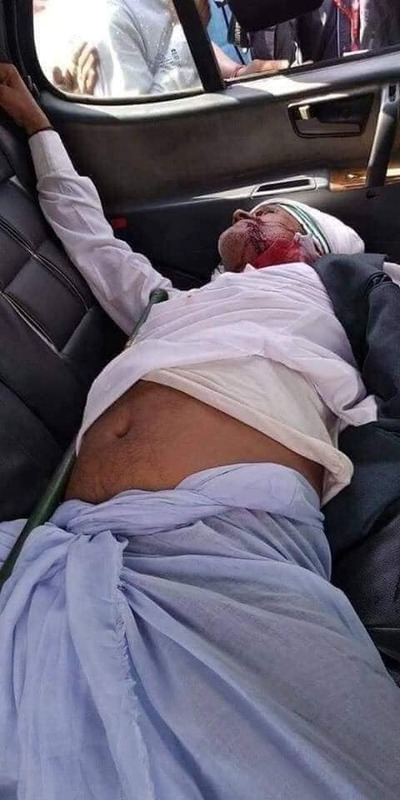 Unsatisfied with government’s assurance to look into the matter, Bharatiya Kisan Union president Naresh Tikait said the farmers will continue with the protest until the demands are met. Besides unconditional loan waiver, the farmers are protesting against electricity and fuel prices which are shooting through the roof. Bharatiya Kisan Union president Naresh Tikait on Tuesday said the farmers will not accept govt assurance and will go ahead with the protest. 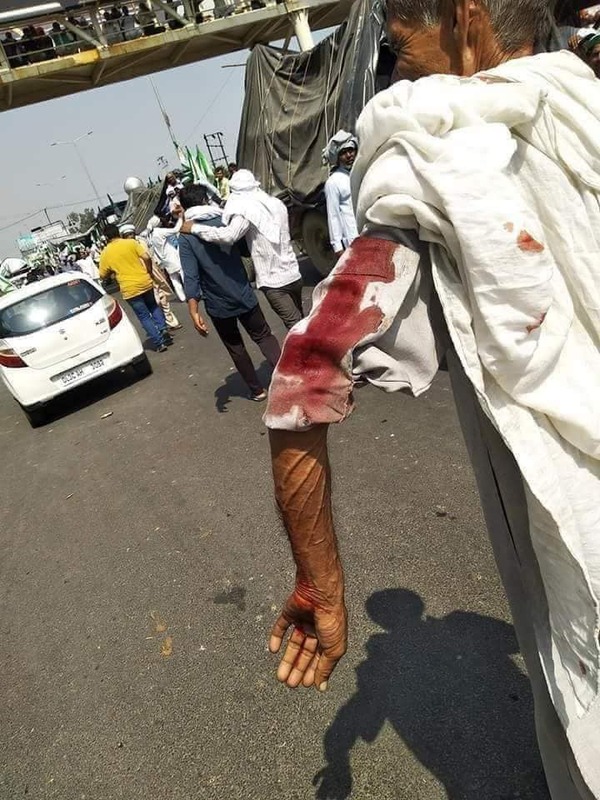 Congress president Rahul Gandhi Tuesday accused the BJP of “brutally beating up” farmers at the Delhi border on International Day of Non-Violence and said that they cannot even air their grievances in the national capital. National Highways leading to the national capital were swamped with farmers who came in from places as far as Gonda, Basti, and Gorakhpur in eastern Uttar Pradesh as well as the sugarcane belt of western Uttar Pradesh. Anticipating trouble, the police had imposed prohibitory orders banning assembly of five or more people and holding of any public meeting, usage of any amplifier, loudspeaker, and similar instruments. On the top of their demand list is the implementation of the Swaminathan Commission’s recommendations. The commission had submitted five reports between 2004 to 2006 for “faster and more inclusive growth” for farmers. The Commission observed that farmers needed to have an assured access to and control over rightful basic resources. These basic resources include land, water, bioresources, credit and insurance, technology and knowledge management, and markets. It observed that agriculture must be implemented in the concurrent list from the state list — hence putting it as a matter of concern for both the Union and the states. The reason farmers are demanding a full implementation of the recommendations is that it would result in reasonable MSP and small farmers would be secured. The fuel prices in the country are on a record high with petrol breaching the Rs 90/litre mark in Mumbai, while the diesel is priced at Rs 78.69/litre today. The massive increase in petroleum and diesel prices over the past few months have put an additional burden on the farmers and has reduced the profit margin for them. A hike in the electricity tariffs in Uttar Pradesh is another concern that the farmers want the government to address. The farmers have also urged the officials to provide uninterrupted power supply for at least six hours during noon. Farmers say the National Green Tribunal’s ban on diesel vehicles older than ten years has hit them hard. Citing lack of funds to buy new tractors and trucks, the farmers have called the green body to scrap their order or provide them compensation. 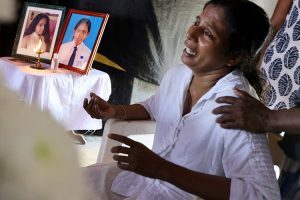 “We are not seeking any alms from the government. We want our right,” said Harmik Singh, a farmer who came from Meerut, reported PTI. 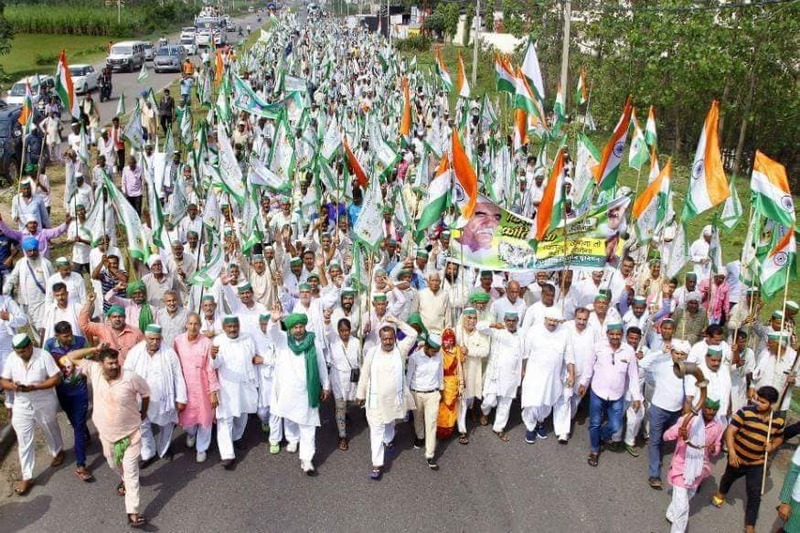 Like the earlier Maharashtra’s farmer protest – Kisan Long March – which demanded loan waiver, this group of farmers has also called for a loan waiver. Farmers have been unable to repay because of crop failures, droughts, floods, bumper crop or low MSP. This has put them under additional distress, leading to many farmers committing suicide. The protesters have called for a one-time complete loan waiver. The farmers have urged the government to expedite clearing the dues to sugarcane farmers. In the 2017-18 agricultural year, India produced 32 million tonnes of sugar, while the demand was only 25 million tonnes, leading to a crash in prices of sugar. As a result, the farmers have not been able to clear their dues. The Uttar Pradesh government earlier this month approved a Rs 5,535-crore package to help mills clear their outstanding payment dues to growers, which are now almost at Rs 10,000 crore. Millions of our farmers still live in poverty and massive debts in India. In an atmosphere of rising diesel and electricity costs, they are under the added burden¹ to fuel irrigation pumps. However, if KUSUM scheme is implemented, farmers can install solar irrigation pumps and save massively on irrigation costs. Will YOU stand with India’s farmers? In many ways, we are a technologically advanced country but do you know, over half of our population depends on agriculture for their livelihood? That is double the population of U.S. This isn’t bad news but an opportunity for a prospering nation. India spends about 25% of our electricity to run irrigation pumps². The government scheme KUSUM will bring subsidies to farmers for installation of solar irrigation pumps. These pumps can provide all-day power, enough to both irrigate agricultural fields and also power farmers’ homes. In fact, these pumps can generate enough energy for farmers to sell some to electricity boards and make extra income. So, what is stopping the scheme from reaching farmers? The Ministry of Finance has been sitting on the funds meant for the scheme KUSUM. If YOU stand with us, we can create enough pressure to bring KUSUM to our farmers. Demand Ministry of Finance to release funds for the KUSUM scheme. PS: Right now KUSUM scheme only exists on paper, farmers will continue to suffer until it is implemented across India. Act now! Greenpeace India is funded by individuals like you. We don’t take money from the government or any private companies. Show some love: thanks for sharing and caring.